Song by Jesse Teller. 2017. Ebook. 321 pages. 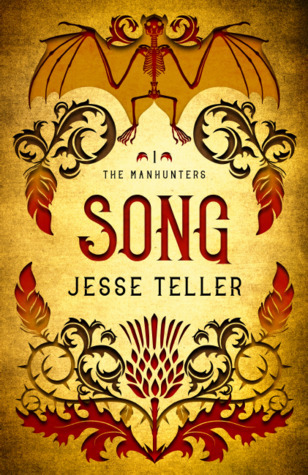 Dark, gritty fantasy has grown vastly in popularity these past few years, and Jesse Teller's Song is a great example of just why it has become so popular. 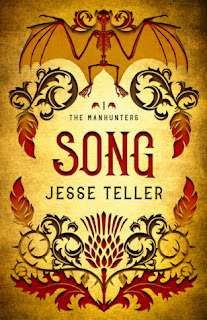 Song is the first book I've ever read by Jesse Teller, but it certainly won't be the last! This book begins when the prison of Mending Keep in Perilisc has been breached and all of its prisoners have been released. Our protagonist Rayph Ivoryfist then joins forces with an old partner to protect the king--and of course many other subplots appear. I want to first mention the worldbuilding of Song, which Teller obviously put great attention and detail into. It's a very convincing world which is helped by how thorough his descriptions are of various places and events in Perilisc. Nothing was overdone or drawn out, however, creating a nice balance of action, dialogue, and description or worldbuilding. The overarching plot itself isn't the most unique thing I've heard of, but Teller's execution is what makes this book stand out. It is Teller's writing that pulls you into the story and makes you want to keep coming back for more. I also appreciated the realistic portrayal of life that Teller has created; it is brutal and raw, with plenty of death and gore. Rayph himself was a great character to follow. He is a born leader and I enjoyed watching his handling of the many obstacles thrown his way on his quest to fulfill his duty. I also loved reading his relationship with Smear, as the two have a natural relationship that, although sometimes a bit tension-filled, is written in a authentic manner. In addition to Rayph is another point of view from Konnon, a man who wants nothing more than to find a cure for his daughter's Paralysis. He is another interesting man that I found myself immersed in learning more about. Much in the same way as Rayph's partnership with Smear, Konnon must eventually partner up with Glyss, another pairing that is wonderfully well-written. Based on the many characters and their interactions with others, I can tell that Teller truly understands how human relationships work, and I was impressed with how well-written these many relationships were developed. Despite the many positive aspects, I did find myself struggle to initially get into this book and the connect with the characters. The positive parts easily outweigh the negative, but it did somewhat hinder my enjoyment and I wasn't as immersed in this book as I hoped I would be. That said, I am still very interested in Teller's writing and world and will certainly pick up another book sometime. Overall, I've given Song three-and-three-quarter stars!